The new Deadpool movie has released a promotional poster that has made some Mormons pretty mad. Some of the offended say the Mormon church should file a copyright lawsuit. The advertisement for Once Upon a Deadpool is controversial because it resembles the painting, “The Second Coming”. Funny enough, the artist who painted it was a 7th Day Adventist but the image belongs to the Church of Jesus Christ of Latter-Day Saints. 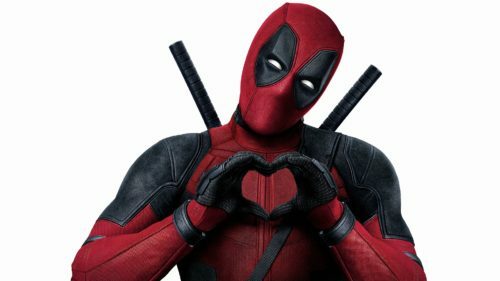 Lead actor, Ryan Reynolds, who is believed to be gay in real life plays the pansexual superhero. Reynold’s character, Wade Wilson, is portrayed as Jesus in the poster. The church opposes those who are actively LGBT in an interesting way. They will excommunicate a person who identifies as LGBT but do accept LGBT members if they are in a mixed orientation marriage. A mixed orientation marriage is when someone knows they are queer but marries a straight person who also knows their partner is gay. Thousands of people have also signed a petition calling on 20th Century Fox to apologize for the poster, calling it “religious discrimination”. The lawsuit, however, sounds comparable to the recent claim made by The Satanic Temple. It said that a statue they custom-built was the basis for one used by Netflix in the show The Chilling Adventures of Sabrina. That case was settled out of court.